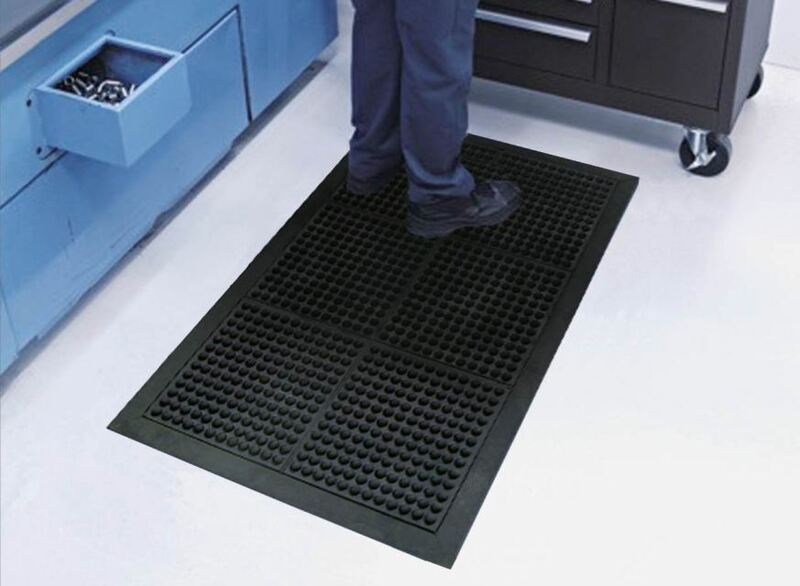 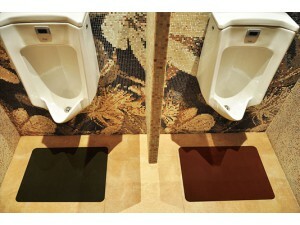 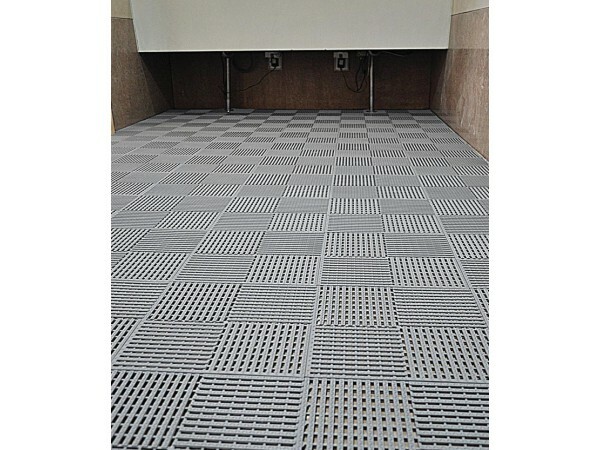 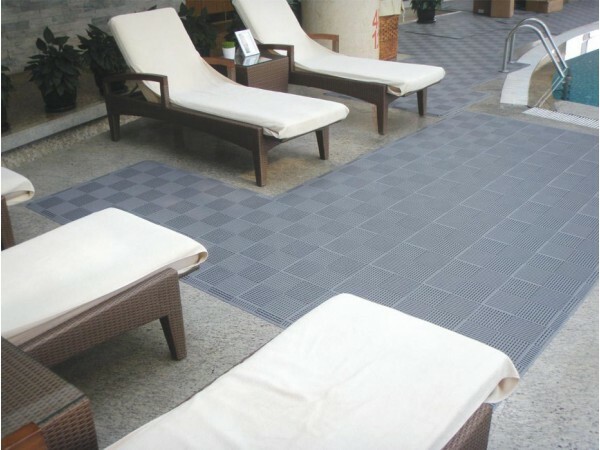 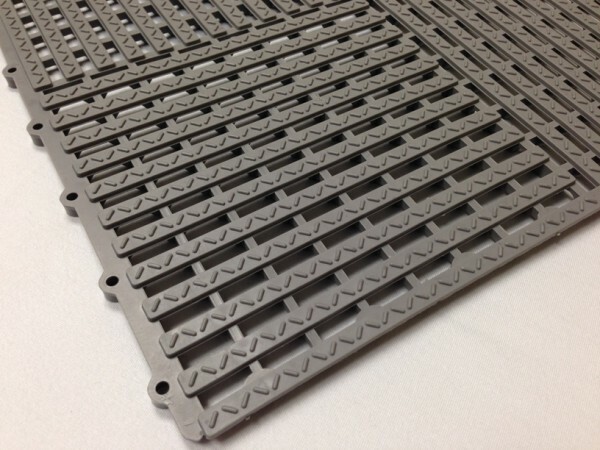 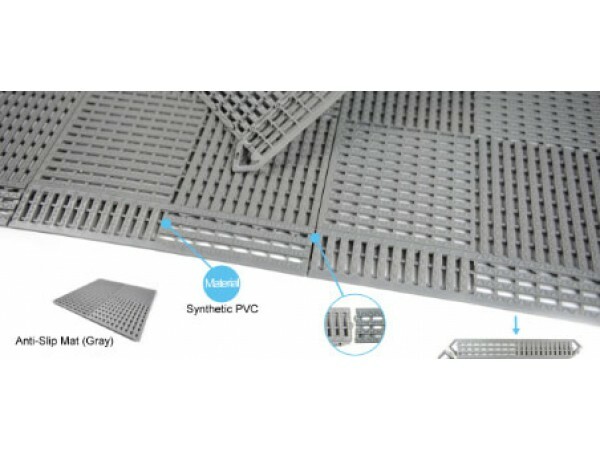 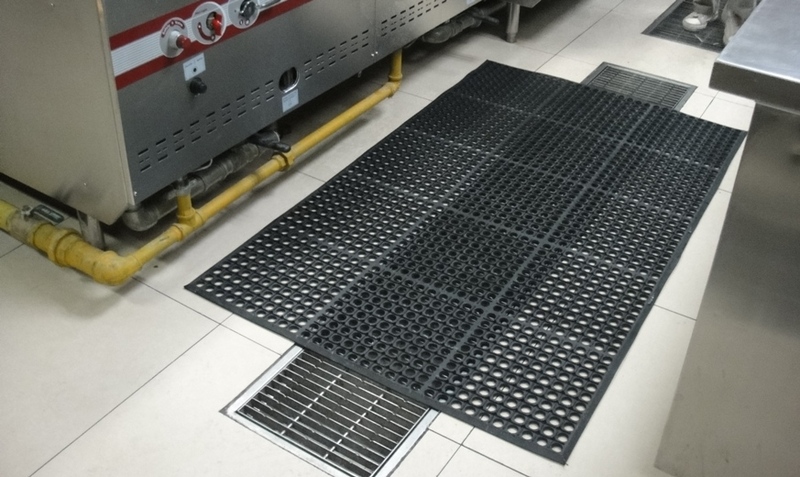 Designed for easy installation, this high technology modular tile system provides safety and anti-slip functionality. 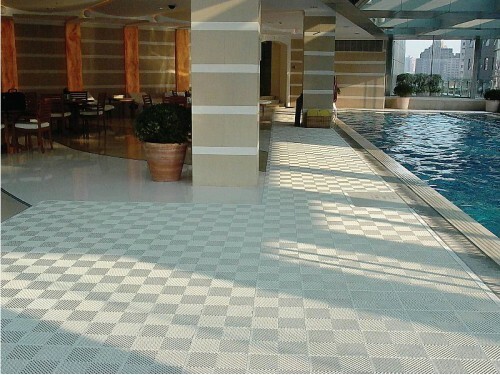 Water will not accumulate on the tiles surface. 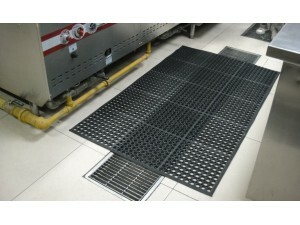 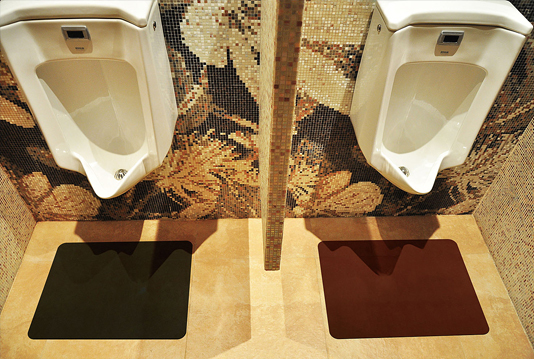 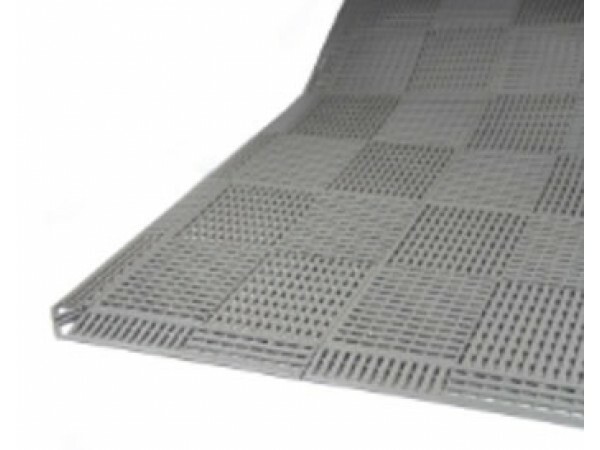 Bottom seep design allows water to drain according to the slope of the floor base. 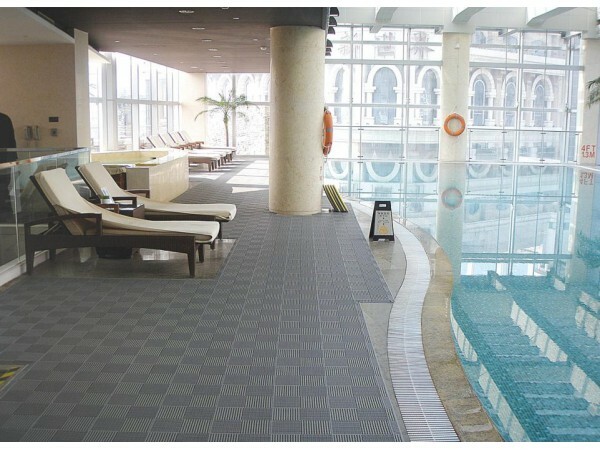 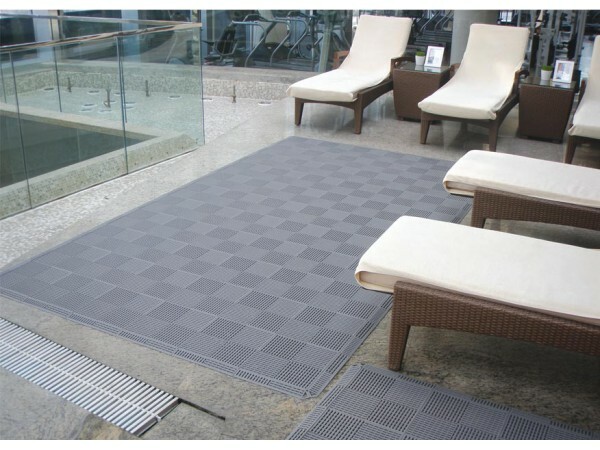 Easy to clean and maintain, it is suitable for use in pool and sauna areas as well as in showers and change rooms.